There was a time when DC characters ruled the box office – at least compared to their lowly Marvel competitors, whose films were often the stuff of made-for-TV bins. On one side you had Tim Burton’s Batman franchise and Christopher Reeves’ Superman films; both eventually descended to the bowels of camp, but not before making a small, Scrooge McDuck-like vault of gold coins for Warner Bros. On the other side were films like The Trial of the Incredible Hulk, guest starring a sad looking ninja calling himself Daredevil, and another one with Thor. Both were gobbled up by fans, but both were fairly bad. And the less said about the 1990 Captain America film starring Revenge of the Nerds’ Matt Salinger, the better. Times, of course, have changed. Marvel’s movie properties have gone on to receive the Charles Atlas treatment, going from skinny weaklings to muscular brutes. Marvel Studios has a coordinated plan that extends for years, and even the Marvel characters outside its control are doing well at the box office. DC has until recently elected to stick with standalone properties, and it’s worked for them. Nolan’s Batman films alone have earned billions of dollars, while non-super hero films like Red and Red 2 both were box office successes. DC has a lot of firepower at its disposal, both with the well-known characters and those published by wholly owned imprints like Vertigo. It also is beginning to ape Marvel’s plans and create one connected universe. As with Marvel, which is owned by Disney, DC has a powerful backer in WB. It’s really just a matter of getting all the right pieces in place, and then we could see films like the Justice League dominate the box office, and could create a platform to launch countless connected properties. 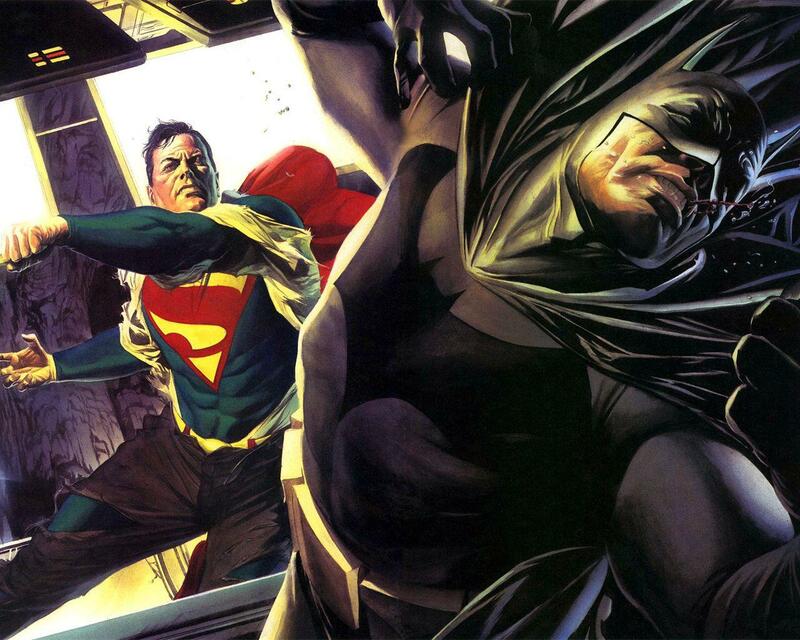 We’ve compiled all the current rumors on DC characters heading to the big screen. 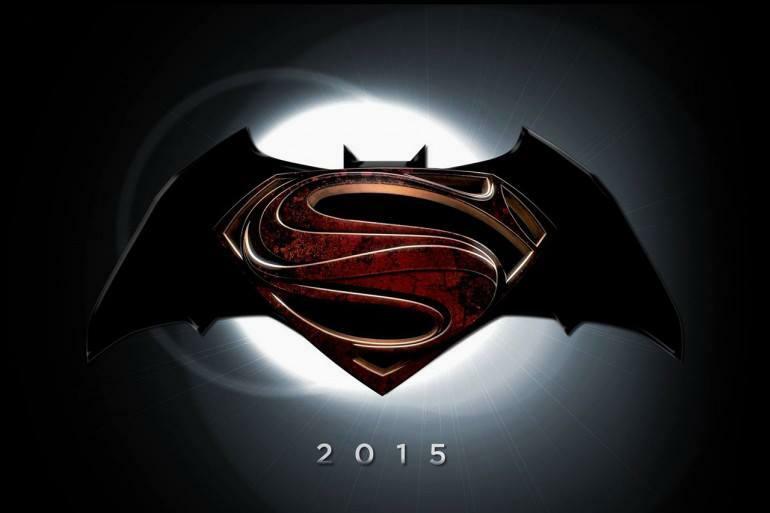 Unlike Marvel, DC may still shift its schedule, so a film in development now may not be in a week, and vice versa. This article will be frequently updated as more news and rumors begin to circulate following these films, so check back often. Updated on April 28, 2014: New updates include a change to the format, as well as the addition of new TV shows including Scalped, and the inclusion of several new films rumored to be in production. A sequel was all but guaranteed following the success of Man of Steel, but not many predicted that the follow-up would also star Batman. Zack Snyder stopped a few fans’ hearts at Comic-Con by announcing that the next Man of Steel would feature both Batman and Superman, and that it would take one step more on the path to creating a Justice League film. Henry Cavill is on board to return as Superman, and Ben Affleck has been confirmed as Bruce Wayne/Batman. The film will not build off of the Christopher Nolan Batman films, and Batman will appear as an older, world-weary hero. The title remains a big question. Traditionally in the comics when Superman and Batman team up, it is known as “World’s Finest.” That is the logical choice, but writer David Goyer claimed that it would be either “Superman vs. Batman,” or “Batman vs. Superman.” WB even purchased both of those domain names. The suggestion of a conflict between the two heroes adds a sensationalistic angle, but anyone that has read comics can probably guess how this will play out: the two will fight over a misunderstanding, then team up to defeat the baddie. The film, which will also introduce the character of Wonder Woman, will then act as a springboard for a Justice League film. Zack Snyder will return to direct. Christopher Nolan will be involved again, but to a much lesser extent. Amy Adams, Laurence Fishburne, and Diane Lane are all confirmed for the sequel. As early as 2007, DC and WB confirmed development on a Justice League film to be directed by George Miller. The cast would bring all new actors to the lead roles, and the budget was rumored to be around $220 million. Then the writer’s strike of 2007-2008 began. The project was never the same after that, and it quickly lost momentum. The budget was an issue as well; the cost of filming would make it almost impossible to cast A-list stars in the roles, which would in turn make it riskier in the eyes of WB. Following the success of The Avengers, DC and WB began to once again discuss the possibility of a film combining some of the most recognized characters in DC Comics. With the success of Man of Steel, the project became a reality. DC and Warner Bros. have both said that a Justice League film is a priority, and after months of hinting, the film has been confirmed with Zack Snyder set to direct. So far the lineup appears to consist of Batman, Cyborg, Superman, and Wonder Woman, with more characters to be revealed later. Darkseid is rumored to be the primary villain. Batman and Superman will put the team together to defeat soldiers from Apokolips and Darkseid himself. Several other DC characters may appear, or at least be mentioned. The film would bring together several DC characters, but also serve as a launching pad for others. People have been trying for years to get a Wonder Woman project to the big screen without luck. Joss Whedon gave it a go before moving on, and even TV heavyweight David E. Kelly couldn’t make it any further than an unaired pilot. A possible CW show based on Wonder Woman titled Amazon was also recently killed. With the casting of Gal Gadot as Wonder Woman in Man of Steel 2, however, Wonder Woman’s fortunes seem to be on the upswing. Gadot’s contract locks her in to appear in multiple DC films, and that includes a standalone, solo outing – although that has not yet been confirmed. 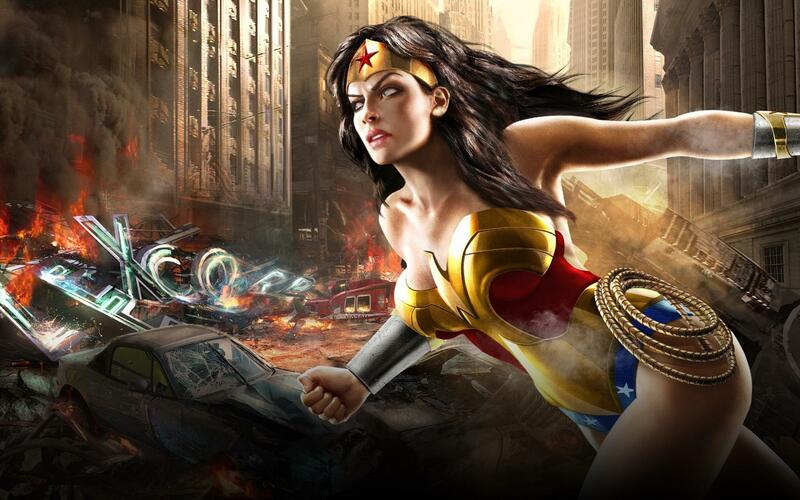 Based on the rumored schedule, a Wonder Woman movie would likely appear after Justice League. DC and Warner Bros. have been trying to figure out a way to bring Neil Gaiman’s seminal comic series to either film or TV for several years now without luck. That’s partly due to the difficult nature of adapting the material itself, and partly it is due to all parties involved – including Gaiman – demanding high standards. Several scripts have been pitched, and so far all have been turned down. There is new hope though. Actor Joseph Gordon-Levitt has committed to produce, and possibly both star and direct a film adaptation of Sandman, with David Goyer producing. Warner Bros. is hot on the actor at the moment, and when DC Entertainment boss Diane Nelson was asked what five characters she would like to see on screen, she answered “Sandman is right on top.” She went on to compare Neil Gaiman’s Sandman to the Harry Potter universe in terms of richness and depth. Sandman is nowhere near as well-known as Harry Potter, but with WB having adapted all of the Harry Potter books, it does leave a gap. 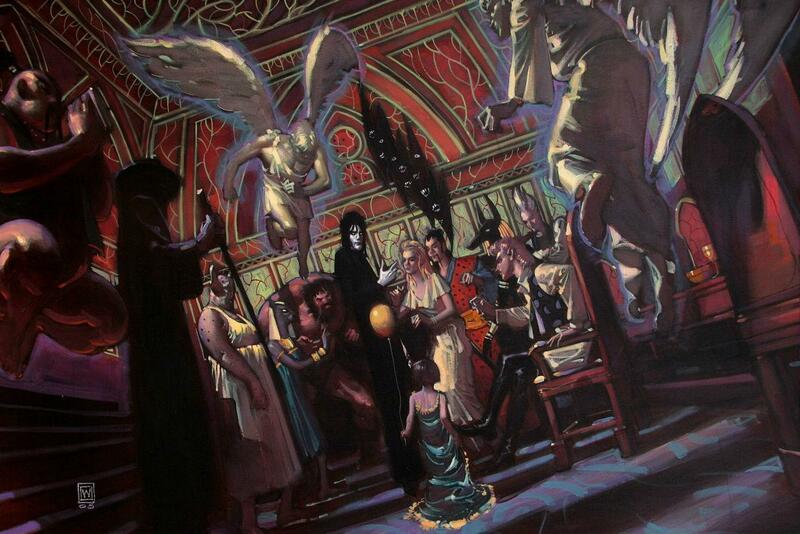 Dream of the Endless, the protagonist of the Sandman series, may have originated as a comic, but the stories also fill the fantasy void that Potter and the Lord of the Rings franchises will leave. With Potter’s final movie complete and The Lord of the Rings only one Hobbit film away from complete exhaustion, WB may be willing to take a chance on a new fantasy property. Once the film has a script, the production still has to undergo an arduous approval process that includes the blessing of author Neil Gaiman, who is – thankfully – protective of the material. The proverbial stars do seem to be aligning though, and everyone involved, from the author to the studio to the talent now attached seem motivated to make this happen.